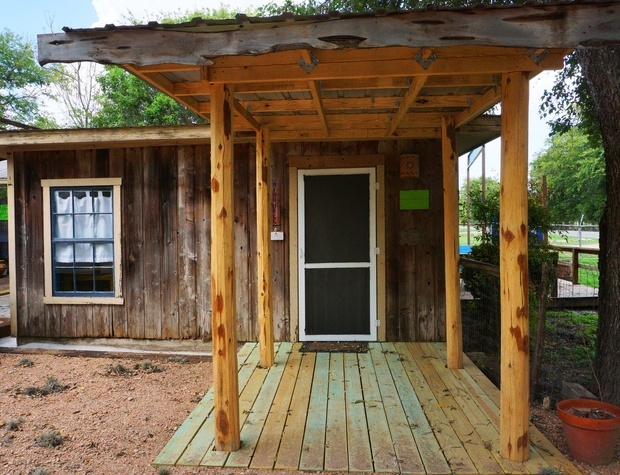 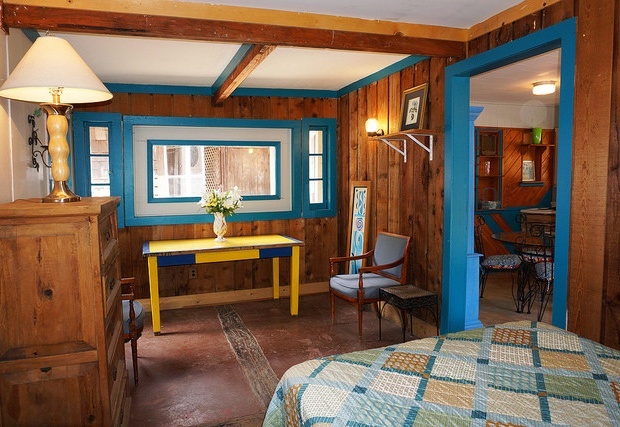 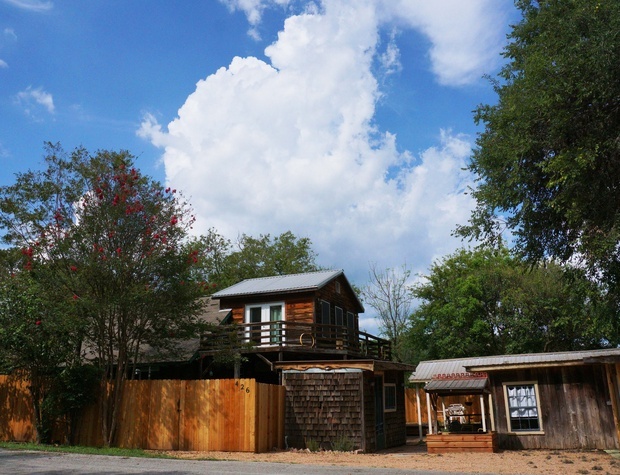 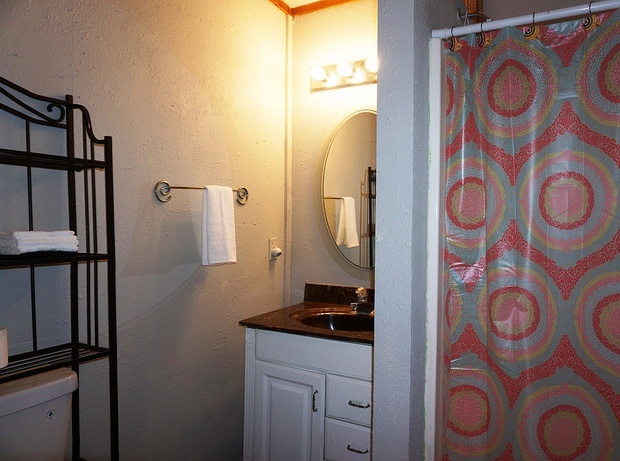 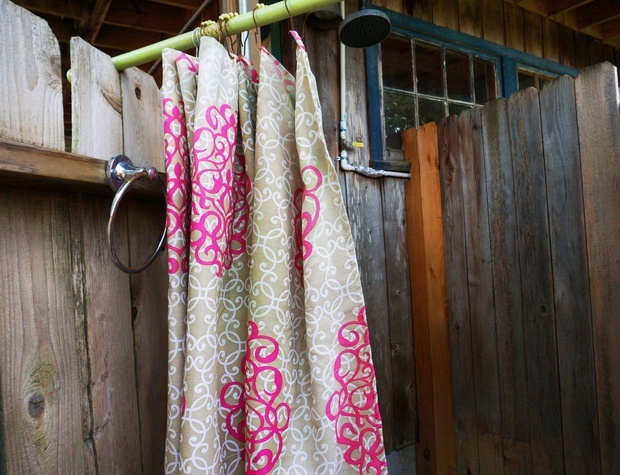 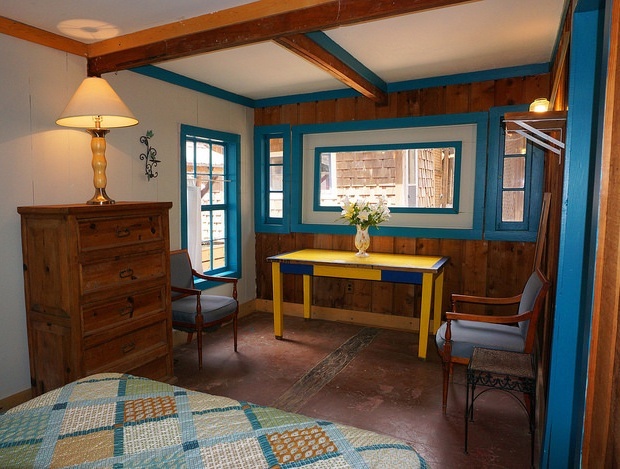 River Gypsy Casita is a sweet little one bedroom one bath cottage a short walking distance from the Guadalupe River. 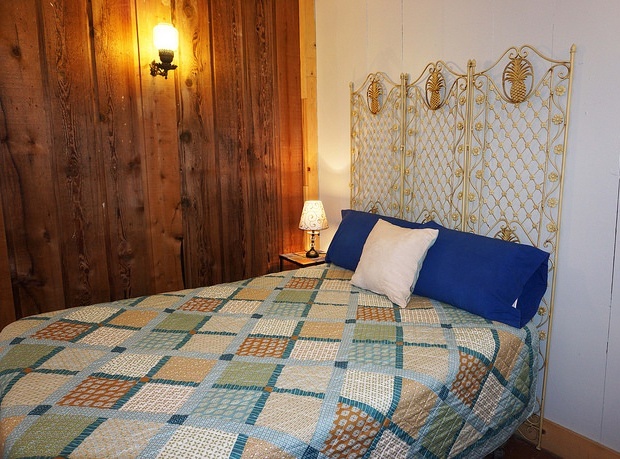 The bedroom is spacious with a cozy full size bed and views of the outdoors. 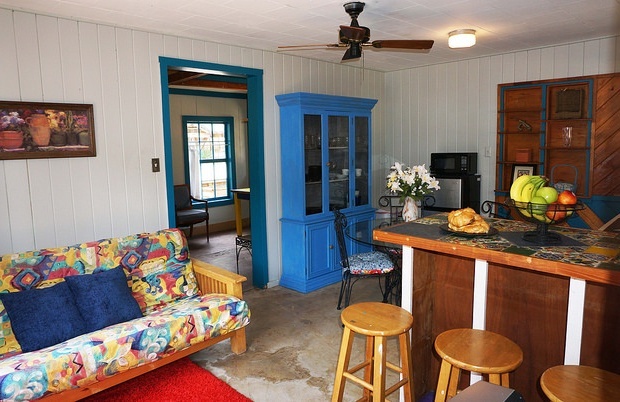 The living area is an open floor plan incorporating both bar and table seating with a queen size futon in the living room and gorgeous views of the outdoors. 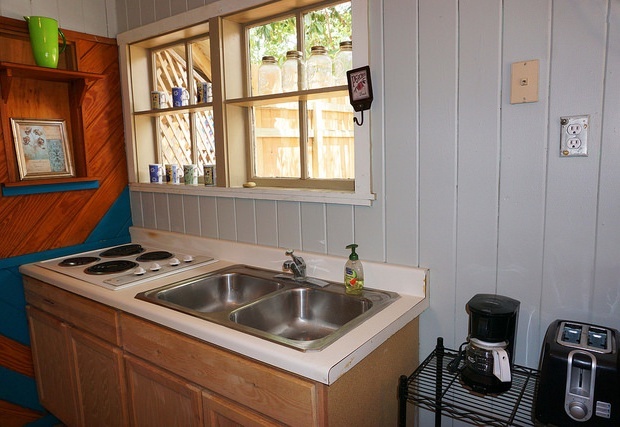 The kitchen mirrors the size of the Casita and has everything you’ll need to cook a meal while hanging out with friends and family. 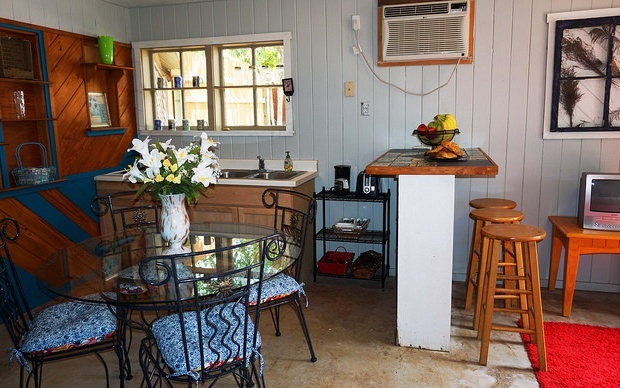 The living room also has French doors that open up to your very own private deck and lawn- turning your living area into an airy indoor/outdoor space! 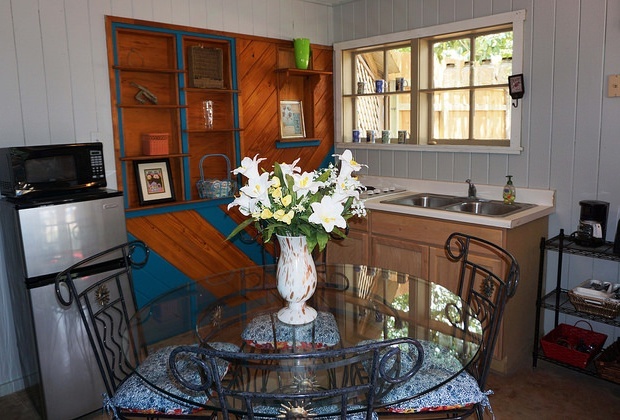 The deck also has seating for those who want to dine al fresco and take in all of the surrounding natural beauty. 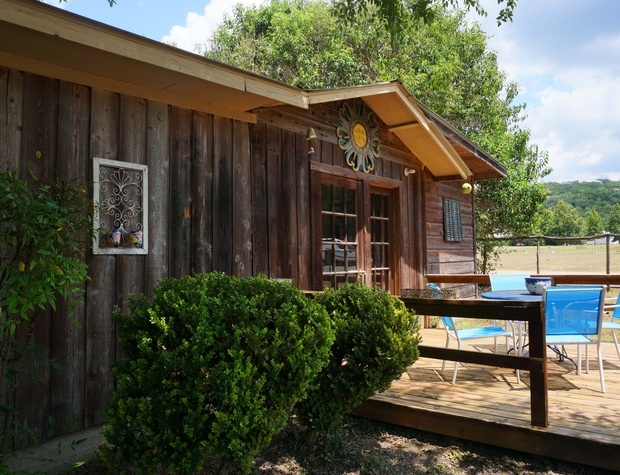 The Casita also shares an additional entertainment deck with the Main House where you will find a propane barbecue grill, a poker table, the outdoor shower, and plenty of seating custom made for a fun filled soiree. 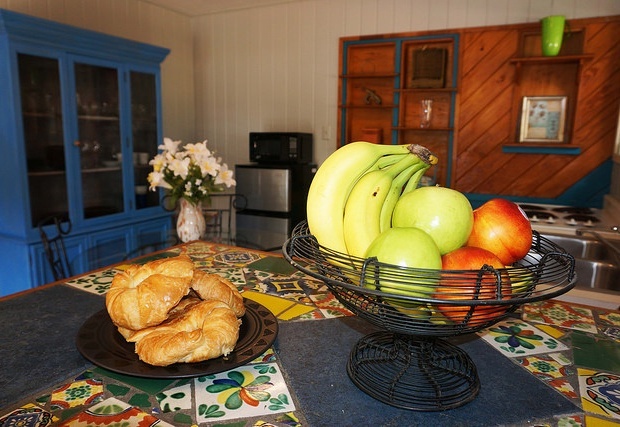 The Casita is a very versatile property and can be rented along with the Main House or alone. 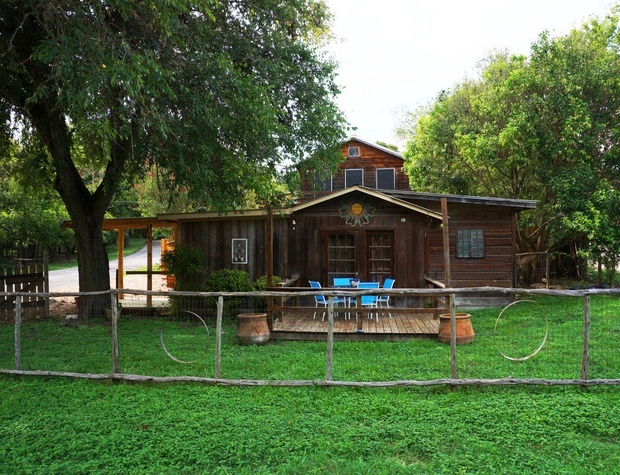 Whether you’re here to explore the Hill Country or simply relax at the Guadalupe, River Gypsy Casita is the perfect place for you. 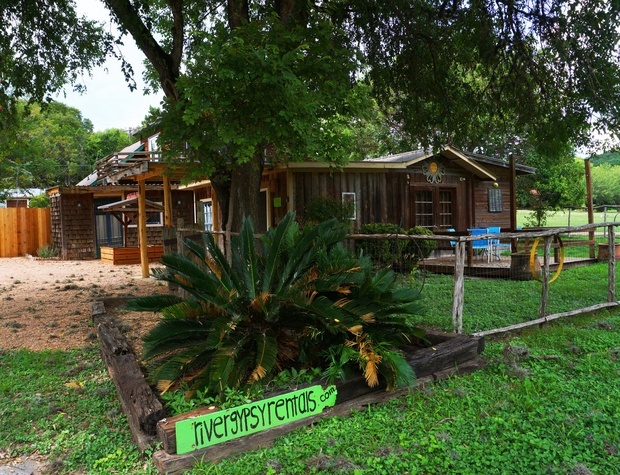 For larger groups, add the River Gypsy-Main House which can sleep up to six additional guests.